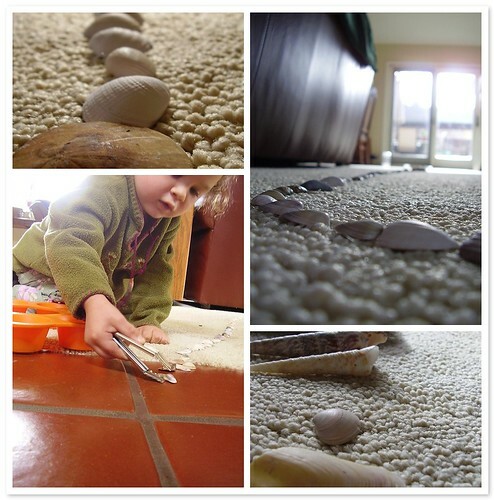 Yesterday when Mark and I went to go pick up Lily from Grandma’s house, we were greeted at the door by a trail of seashells winding all the way to the kitchen. My mom had given Lily a tiny set of tongs and with them she had plucked the shells from the muffin tin provided and lined them all up. She could identify all the different types and was so proud of her shell train, I though she just might burst.